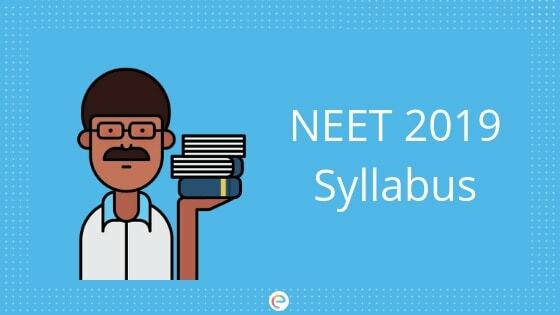 NEET Syllabus 2019 | The first step towards NEET preparation is to understand the NEET Syllabus thoroughly. The National Testing Agency (NTA) will be releasing the NEET syllabus 2019 on the basis of which the question paper of NEET 2019 will be prepared. It has been made clear by NTA that the syllabus of NEET 2019 will remain same as that of the previous year. The detailed NEET Syllabus 2019 pdf includes the units of Class XI & XII syllabus. NEET syllabus 2019 consists of three subjects namely Physics, Chemistry, and Biology. The chapters of each subject of the NEET syllabus 2019 are mentioned in this article. NEET 2019 exam is held for admission into MBBS & BDS programmes that are offered by various colleges in India. In this article, you will find detailed information about the NEET Syllabus 2019. Check out the complete NEET syllabus subjectwise. You can study the whole NEET Syllabus 2019 by using Embibe’s NEET study material. You can also solve unlimited NEET practice questions for every subject and take NEET mock tests. Then work on chapters and concepts you couldn’t answer or those that you got wrong. You must at least master the important chapters for NEET 2019 as well. We hope this detailed article on NEET Syllabus 2019 helps you. If you have any query pertaining to NEET Syllabus 2019 or the exam in general, feel free to post your comments below and we will get back to you at the earliest.